It's been really lovely to connect with readers over the last few months since sharing our Kitchen Diner reveal. Thank you so much for your support and chats. I've been thoroughly enjoying the emails and questions people have sent me, and hearing more about the projects you're taking on yourselves. Sending positive vibes if you're about to start similar work as us – and I mean it, if you have any questions or fancy a chat about your project please do email me as I'd love to hear what you're up to and see if I can help. In this post I want to talk a bit more about the... 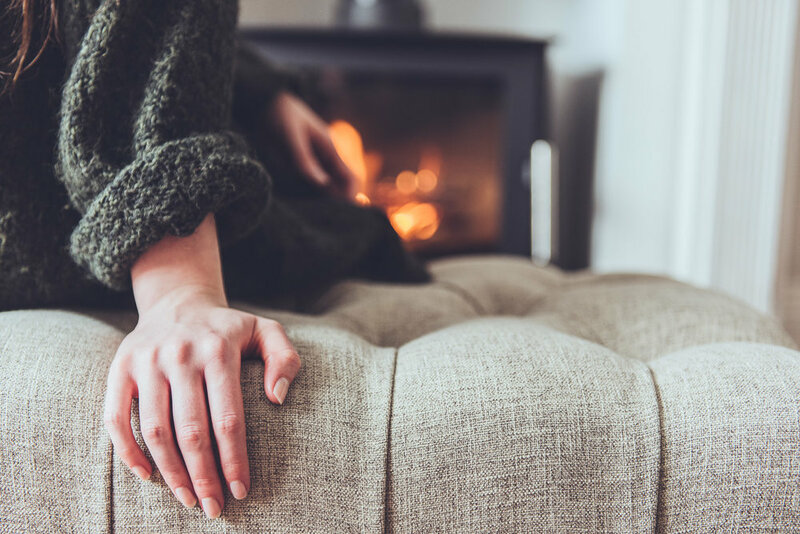 I guess you could call it the 'engine' of the home – the boiler – the thing that powers hot water around our homes making them warm, cosy, damp-free and gives us the complete luxury of hot showers and baths. We really are so fortunate to have this technology. Am I the only one who appreciates gas, copper pipes and water pumps every time I shower...? Me and Neil bounce around energy suppliers regularly to get good rates, but right now our gas and electricity is supplied by npower which is why I did a double take when I saw that their team reached out to work with me on their recent boiler cover campaign. **Yes this is a paid post, but please don't run a mile because I am an npower customer and wouldn't cover anything on my blog that I truly think helps homeowners like me. If you have an old boiler or ever feel the *fear* of something in your house breaking and you can't afford to fix it, this could help you rest easy. Would you be able to pay outright on labour and a new boiler if your boiler was to break down tomorrow? Honestly, I find this such an unsettling question as a homeowner. Imagine if your boiler completely broke down tomorrow and you had to call out an engineer who let's say said you needed expensive parts or worse, a complete replacement, then foot you a bill for £1,500. *Touching wood here* Would you be able to pay for any repairs like this outright? Thankfully, I have had no experience of boiler problems yet, but I've heard a lot of sob stories from friends who have gone through it. One of my friend's boilers completely broke down on Christmas Eve. Typical. A short while ago though, one of the first projects in our house was to install a brand new boiler, central heating system and pay for a gas connection from the road to be piped into our house. The project felt like it was cleaning our account dry before we'd even begun any visual work to the fixer upper. Knowing how much work and costs went into this first project gave me mixed feelings. At first I had a sense of security that our boiler is brand new and should be fine for at least another 10 years provided we service it well. The second was pure fear that what if we had to replace parts of it all over again – would we have the money to do it? Or even half the money to do it? Now, I'm not here to preach to anyone how one should save to be prepared for the worst when I know as well as anyone saving is really difficult, especially when you have a whopper mortgage to pay. Neil and I try to save into a house account for maintenance costs so that if the worst came to the worst we would be able to pay for emergency jobs, but this only stretches so far. An interesting offer that npower has introduced is Boiler and Heating Cover for when your boiler or central heating system breaks down and you need to get the problem fixed quickly, without breaking the bank. They’ve teamed up with insurance specialists (Allianz Global Assistance) meaning you’ll be able to get in touch with them any time, day, night, (on Christmas Eve?!) and they’ll send an engineer to your home to fix the problem for just a small excess fee. Neil and I would consider putting something like this in place if our boiler wasn't so new and we feared we wouldn't be able to pay for it if it broke down. The scheme is roughly £10 a month which if you think about it, we subconsciously spend here and there on Netflix, Spotify, and other luxuries. Would we really notice that extra amount coming out on something that made us rest easy? What are your thoughts on boiler cover? Have you ever considered it or do you feel confident to take on emergency house maintenance that pops up like this? This is a sponsored post. All views and opinions my own.